If you travel back in time to the early 1980s it’s hard to imagine that in the future people would carry around hand-held portable devices and chat face to face, conduct conference meetings in real time and order dinner on their way home. But, alas this is the world we live in now. With technology advancing further each day, and the dependency on your smartphone at record highs, you need to make certain that you protect it from harm. The glass on your iPhone is vulnerable to damage. Luckily, there’s a great way to protect it, a screen protector. Generally made of clear plastic or tempered glass, they add a layer of protection that insulates without affecting the sensitivity thus allowing you to use all of the functions. Screen protectors today have many other benefits too. They can provide you with an anti-glare surface, ideal for outdoor use. They can also keep your viewing or conversations private, away from prying eyes. Plus, some offer antibacterial protection to protect you from catching a cold, while others repel moisture, dirt, and fingerprints, keeping it clean for ease of use. These shatter-resistant accessories for your hand-held device are available for all cell phones. 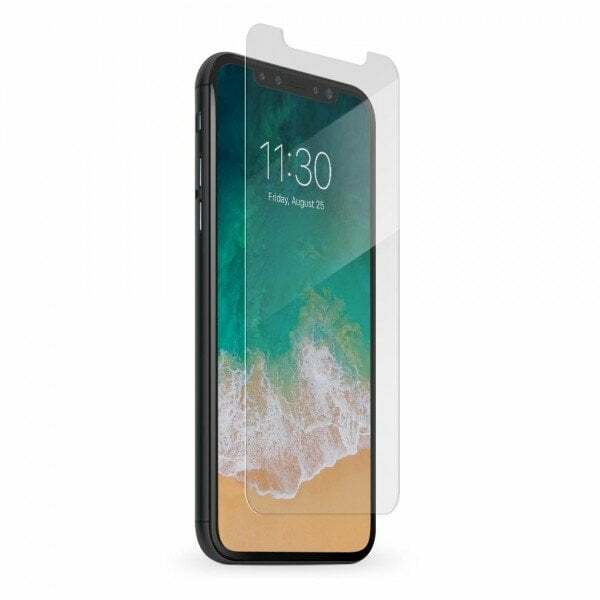 For instance, to add one to an iPhone X simply look online to get a listing of the best screen protectors for iPhone X. The internet is a vast place containing a seemingly unlimited amount of information. Most people who own an iPhone or another smartphone device search the web many times per day. Whether you check your Facebook or Twitter account or look up information for work you expose yourself to hackers. If you own an Apple iPhone you already have a pre-installed software, IOS, among the safest available. Just make sure that you update it often to keep up with the constant changes to keep your iPhone safe and protected from a virus. However, if you own an Android, installing anti-viral protection is essential. With so many downloadable apps available for your smartphone there is no guarantee that one will not contain a nasty virus. When cell phone cases first came on the market, they were bulky and unsightly, causing many people to pass up on the necessary protection because it covered their device. Today, providers of smartphone cases have all the bells and whistles available to you. There are rugged, nearly indestructible cases such as the otter box, well-suited if you work around machinery, tools or outdoors. Other cases come with colorful designs in a slim profile that’s aesthetically pleasing to the eye. While they don’t perform to the same level as the Otter Box, they do protect against bumps and scratches keeping your phone looking new for longer. Some even have built-in stands that allow for hands-free use. The cases today have cut-outs that still allow you to use all the functions on your device without the need for removing the cover. When you purchase a new phone and sign up with any company for cell phone service they ask if you want to take out insurance on your cell phone. While there is an additional fee, its nominal compared to having to replace your phone in the event you drop it in water or accidentally run it over. For instance, the new iPhone X costs a $1,000. Accidents can happen at any time to anyone. Just ask yourself, is this an expense you want to make again in just a couple of months? The answer is probably, no. Cell phones have come a long way in just the past 10 years. Once used to simply place or receive a phone call, they now have the same features comparable to a home computer. For this reason, it’s worth every penny to ensure that your device stays protected.